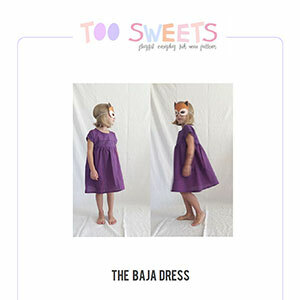 The Baja dress! 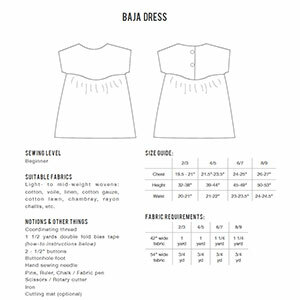 It's a breeze to sew and includes sweet details like dolman-style capped sleeves, gathering at the bodice, a button back closure, and an airy skirt that makes it the absolute perfect play dress. Wear it year round! This pattern is available in sizes 2 through 8 years.